Affordable housing solutions in the city, easy communication, and no pricing constraint are something which is dear to new age homeowners. Kolkata is one of the oldest metros which have attracted professionals and artists over the years to get in touch with the city such that they can stay closer to home and build something they can in a home. 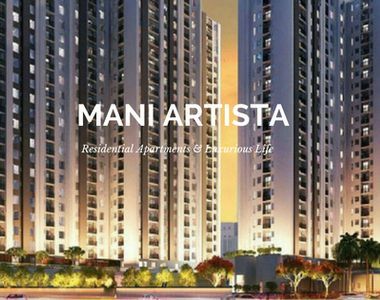 Mani Artista is one of the new age housing solutions which is new on the block. With a clubhouse, a swimming pool, gym, cafeteria, open spaces, multipurpose halls, jogging track, lush green campus, secure complex and the likes Mani Artista Kolkata is something you would want to miss out on. Mani Artista Rajarhat is one of the premier properties that are located only 20 minutes away from the International airport. With the IT hub at a stone throw’s distance, it is one of the lucrative propositions that you should definitely get your hands on. Salt Lake is 15 mins away when you take your car out for a spin from the parking lot. Mani Artista Price must be high! If you have been thinking so, think again. It might appear that the housing is expensive, but it is one of the most affordable houses in the city. With 2BHK apartments and 3BHK apartments with a carpet area of 920- 1347 Sq Ft. of the area, you can book your house immediately. As a new addition to the New Town, the landscape is breathtaking. Not only do you get quicker access to the closest hospitals, schools, colleges, workplaces, restaurants, multiplexes, shopping complexes, so on and so forth. With connectivity across the city, transportation cost is just about negligible. Reach out to the nearest destination without any hassles. The infrastructure is sturdy and is located away from the din and noise of the city. It is cool, calm and one of the most luxurious spaces that you can find in Kolkata. With a 24 hours security service on offer, no longer do you have to worry about the safety of your children. Choose schools which are available closer to the housing complexes such that you can get to drop and pick them up at your convenience. 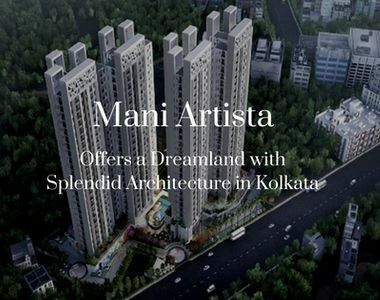 If a housing complex in a commercial yet quaint area has been your dream, Mani Artista Kolkata is the solution to that. So what are you waiting for? Book an apartment now!